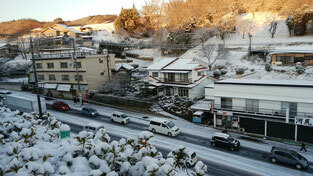 We seldom have snow accumulated in our city of Onomichi, but that’s not the case this morning. 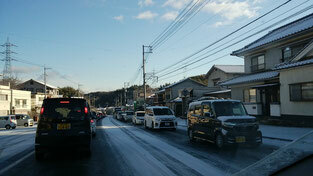 The traffic congestion on Route 184 in front of our house and my office around 9 o’clock has not been solved yet. On a day like today, the closer combination of work and parenting is a big advantage, incidentally it is about 10 minutes on foot in my case.